By upskilling health and care staff to lead digital innovation and pioneer its adoption within the workplace, the NHS Digital Pioneer Fellowship programme is a critical pathway towards the successful implementation of digital solutions to make the NHS fit for the future. 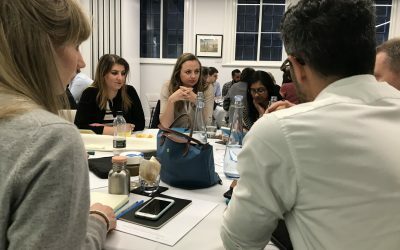 Equip Fellows with the strategic and leadership skills to drive forward the digital transformation of the NHS. Inspire Fellows with the personal and professional confidence to move beyond the mainstream to embrace and deliver change. 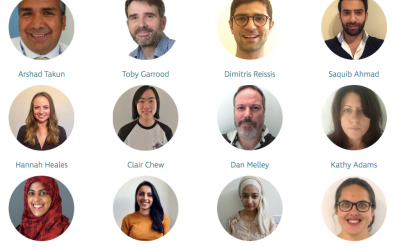 Connect Fellows with peers, influencers and industry experts to form a creative and dynamic network of digital change-makers within the NHS. The programme is grounded in the real world environments of the NHS and digital innovation and provides a collaborative learning experience that bridges the gap between these two worlds. As part of the practical work of the Fellowship programme, participants bring a digital transformation project that they are currently engaged on within their organization. This practical application helps to ensure learning is retained, as well as providing immediate ongoing benefit to both the participant and their host organisation. Host organisations sponsoring Fellows also benefit from access to the latest knowledge and insights from the digital world. 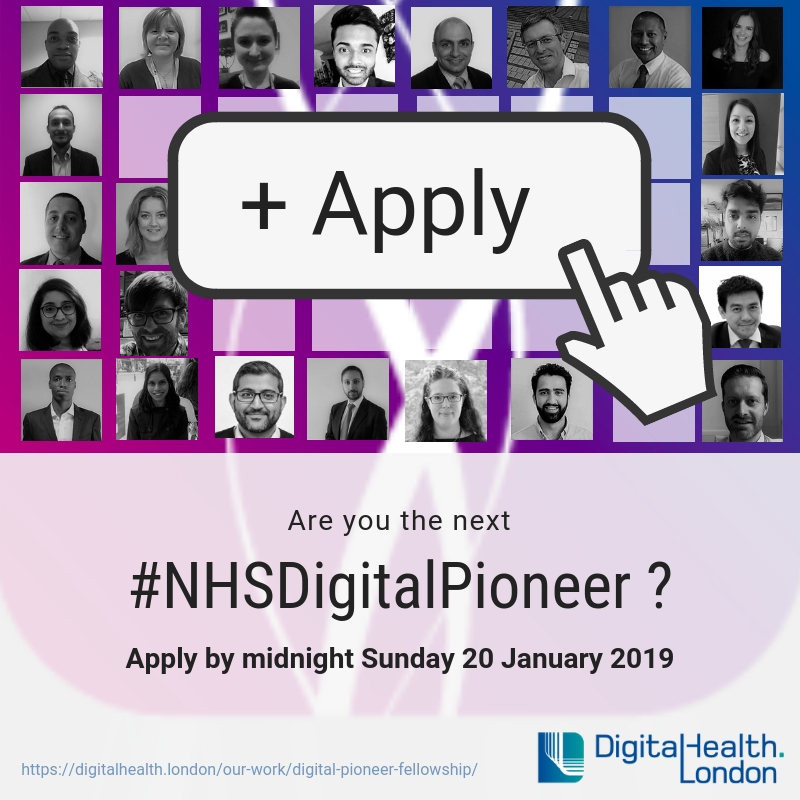 The application period for the NHS Digital Pioneer Fellowship 2019 close at midnight on Friday 18 January Sunday 20 January 2019.